In keeping with its mission to represent and serve as the voice of the plastics industry locally, nationally and internationally, the Plastics Industry Association (PLASTICS) works to influence public policy. Through its Advocacy Action Center, PLASTICS provides a grassroots network to rally the 954,000 plastics workers nationwide. Grassroots mobilization is a powerful tool in the arsenal of issues advocacy. By uniting the various segments of the broad-based plastics industry – one of the largest manufacturing industries in the nation – into a single, cohesive voice, PLASTICS seeks to effect change in the public policy arena. PLASTICS encourages you and your company to become more involved in the public policy process by telling your elected representatives what you think concerning critical issues impacting your business. From Capitol Hill to the state capitols across the country, the plastics industry’s collective voice will be heard! Timely and concise communications to lawmakers in support or in opposition to legislation affecting the plastics industry can make a critical difference in the outcome. Powerful yet easy to use, “Take Action for Plastics” is a plastics industry grassroots tool that you can use to email letters (either ready-to-go standard versions composed by PLASTICS or personalized in your own style) directly to your federal and state legislators. Thank you for your support of PLASTICS’ grassroots initiatives and for making a difference for the entire plastics industry! Serving as the plastics industry’s voice on Capitol Hill, PLASTICS PAC works to protect us all by advancing a pro-manufacturing legislative agenda while shielding the industry from harmful legislation and regulations that threaten our bottom line. 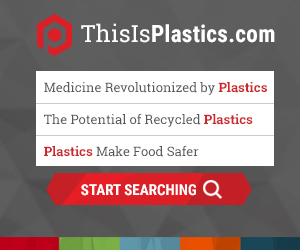 Find information like the number of jobs in various plastics industry segments, payroll, tax revenue and shipments from the plastics industry in your state and district. PLASTICS is equipped with the tools you need to register to vote in your next election. Want to look up key insights to help you determine who you may vote for in your next primary or general election? Find out here! It is vital to have a strong voice advocating on behalf of the plastics industry. Support the fund that has been created to bring our message directly to consumers, voters, and policymakers who have the power to make a positive difference. Check back soon to learn how to participate.